Have you ever wondered who runs the electrical from the source to the disconnect switch to the machine? The answer: an industrial electrical technician. Without them, the power wouldn’t get from the source to power the machine. Is this a career that might interest you? Find out more about what an electrical technician does and how they get there. An electrical technician is responsible for installing and working on motor controls, heavy circuitry, and piping. Although they generally don’t work on the actual components of the machines, they’re responsible for anything between the power source and the machine. Electrical technicians work with other trades like plumbers and HVAC to complete projects. They work with electrical engineers with their responsibilities so that a project can be built properly. The more experience an electrical technician can gain, the more room for career growth is possible. If you’re interested in becoming an electrical technician, keep in mind that you will need to meet specific educational requirements. 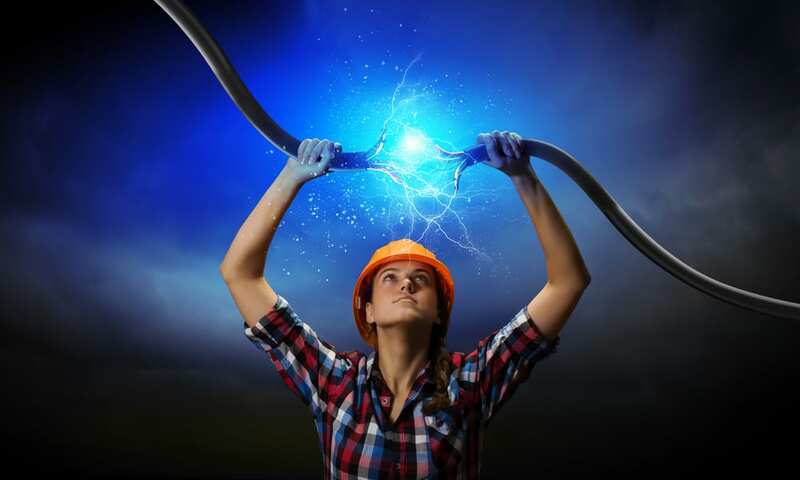 The best electrical technicians have an associate degree in the electrical technology field. Some technicians go to a vocational school for this degree, while others attend a community college or technical school. We offer ongoing training and truly enjoy helping each other grow and learn. When you have the right preparation to become an electrical technician, other career paths may open up for you. With some additional training and education, you could become an electrician, an electrical engineer, or work in the facilities management field too. Detail Oriented. Do you notice the little things in everything you do? As an electrician, the details are the most important. Paying attention to the smallest details will lead to safety and a quality work you can be proud of. Determination. Are you dedicated to getting the job done no matter what? An electrical technician may work in extreme environments. For example, caustic, hot, or wet conditions can make working with electricity extremely hazardous. Logic. Are you able to read and interpret diagrams? Although you wouldn’t be working on actual machines, you need to be familiar with how the electrical components connect. Succeeding requires good logic skills. Problem-solving. When you find an issue with the electrical, how should you handle it? This isn’t a job where you can “Google” a quick answer. Natural problem-solving skills make this job easier. Some electrical technicians end up working with owners and electrical engineers to provide service to a wide range of clients. These technicians visit different sites, depending on which clients they are helping. This type of job gives electrical technicians an opportunity to put different skills to use by working on a variety of projects. Other electrical technicians work for one company or organization, such as a factory or a laboratory. These technicians are only responsible for working on their employer’s electricity. This type of job can offer more stability on a day-to-day basis for those who don’t want to travel. If you’re ready to start your career with a company that serves their customers better than the competition, visit our careers page to learn more about our current openings. The electricians at Turn It On Electric go out of their way to make sure the final product is the quality our customers deserve. Whether you’re in need of electrical assistance or you’re looking to start your career as an electrical technician, contact Turn It On Electric today.